Awesome helmet. Fits perfectly and very comfortable. Great fit with low profile design. Front of chin guard is close to mouth but vents fine. Very cool helmet. Love the moto 9 flex. 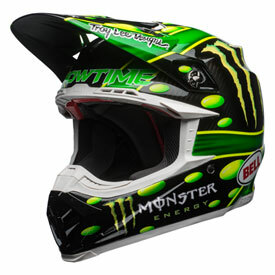 I have the monster showtime helmet and looks awesome. By far the best helmet I have and I have 17 and counting. the helmet is great the week before i bought the helmet i had a o'neal 5 series helmet and crashed and got hit and the helmet cracked in half but this bell helmet works really nice in crashes. I bought 1 of these a year ago. I paid full price. The helmet is great! It fits perfectly and it almost looks as good as the day I bought it. The main reason to buy these helmets are to save your life. I have a pair of $700 knee braces but my helmet was only $150. I got my priorities straight and bought a helmet equal to my knee braces! it is one of the more expensive helmets but it is worth it. it looks amazing, its super comfortable, great ventilation, and the best protection available. the flex liner is more comfortable and safe than mips. if you are looking for a new helmet, get this one, dont worry about the price, its well worth it. 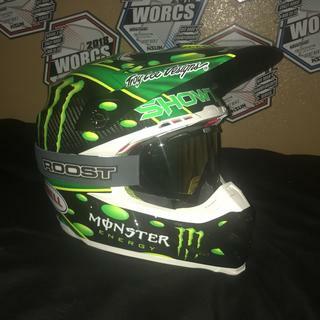 This is the 2nd McGrath replica moto-9 helmet I’ve bought. The fit is amazing, cool graphics, nice carrying bag that comes with it. Bell is one of the best helmets on the market in my opinion, that’s why year after year I always purchase bell helmets for me and my kids. My current helmet is a Bell, inexpensive, size medium, fits perfect. Would i still take a size medium in this helmet? BEST ANSWER: Absolutely. My son was a medium in a couple other helmets that were known to fit to size and this fit perfectly. 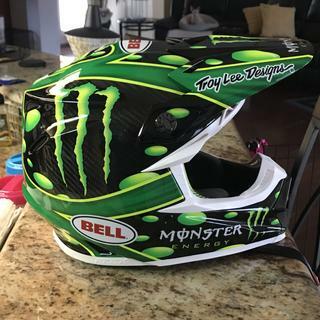 It’s an unbelievable, top of the line, helmet with great graphics. The only reason it’s marked down is because it’s last year’s style! 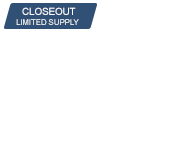 I got at at RMATV closeout prices too! Definitely a steal! I figured that the reason it was marked down was because it was a specialty item from last year. Great price! 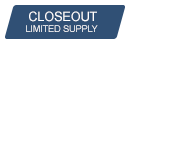 Much less than other sellers! Order what ever size Bell you are used to wearing. It will be a little tighter when you first put it on but will be perfect in a few times you wear it, very comfortable helmet. You will love the feel and looks .it is lighter also with better protection being carbon fiber and the price is super. Bell helmets fit me better than any other. But sunce this is a closeout it wasn’t available to try on at a store near me. Just wanted to make sure before purchase so that I don’t have to return or exchange. And yes, the price is amazing! The reason i asked was because i tried a random bell helmet on at a store and it seemed more snug than my medium. But the next size up was just a little bit loose. Ive had mine for a while, but it seemed like when i tried them on a few years ago, the mediums fit as perfect for me as they should. Since this is an order, (as opposed to a store) I figured I’d ask so that I don’t have a return hassle. I’ve had range of Bell helmets over the years from inexpensive to this same helmet. The size has stayed true through all of them including both on and off road versions. My other helmet is a Bell Moto 9 (MIPS) and the sizing fits the same. I wear a large in both. Yes it should fit about the same but just slightly tighter. Yes. You will be very happy with this helmet. I love it.